The Blender with digital timer and powerful motor - now with the 10 year full warranty in household use! You’re In Control. The Variable Speed Control lets you fine-tune every texture—from smooth purées to chunky salsas—and everything in between. Built-In Wireless Connectivity: The motor base will automatically adjust the maximum blending times for the container size you’ve chosen. Pair with the Vitamix Perfect Blend App: Unlock your blender's full potential with 17 programs and 500+ recipes with the iOS + Android app. They call Vitamix the best of the best. It's manufactured in Ohio USA using the best possible materials to last for decades. Its unbeatable performance, multi-dimensionality and durability make it a unique home appliance. 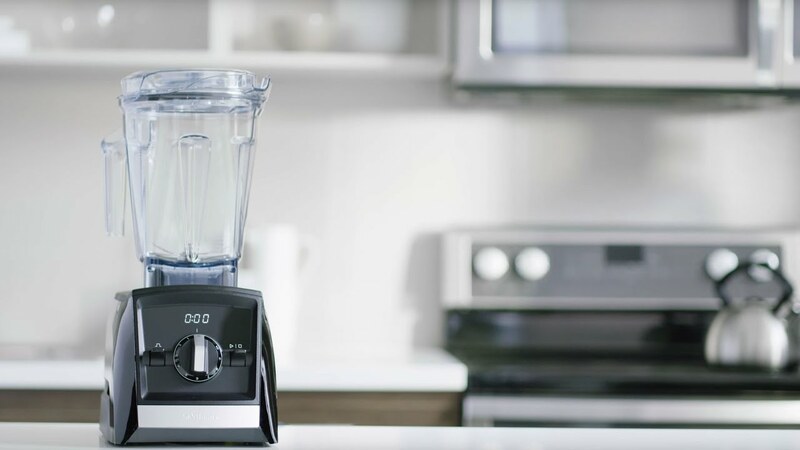 Vitamix is one of the most popular blenders on the market in smoothie bars as well as in professional kitchens, 2-hp engine always guarantees a perfectly smooth finish and consistent results. 7-10 year-warranty in household use. Sisältää 2 kpl 600 ml kannua/smoothiepulloa kannella ja teräosalla. Yhteensopiva ainoastaan Ascent-sarjan laitteiden kanssa! Sisältää 1 kpl 600 ml kannu/smoothiepullo kannella. Yhteensopiva ainoastaan Ascent-sarjan blendereiden kanssa! Sisältää 2 kpl 240 ml sekoitusastiaa kannella sekä teräosan. Yhteensopiva ainoastaan Ascent-sarjan blenderien kanssa!